These ELD standards were developed in 2004 by a consortium of states called WIDA (World-Class Instruction Design and Assessment). 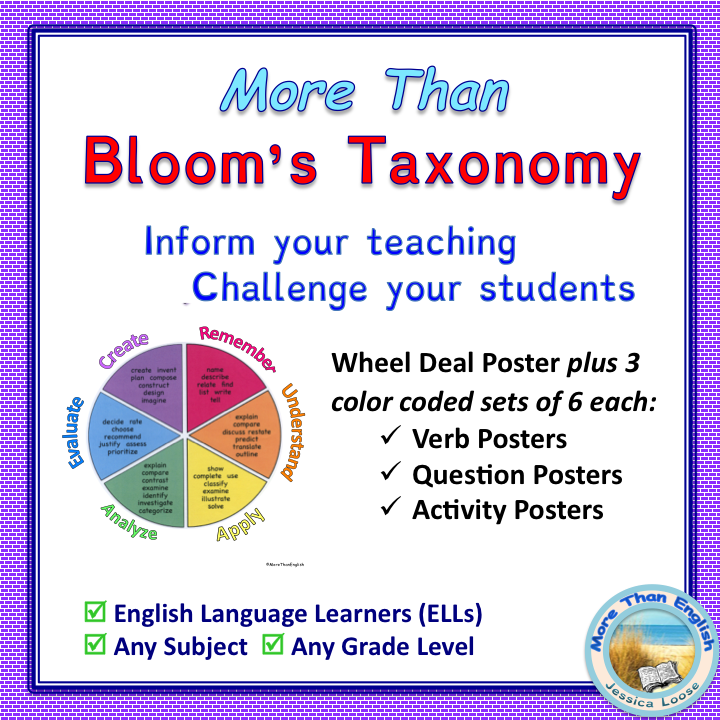 In September 2011, WIDA released revised ELD standards for 2012 which include “cognitive function” (Bloom’s revised taxonomy). 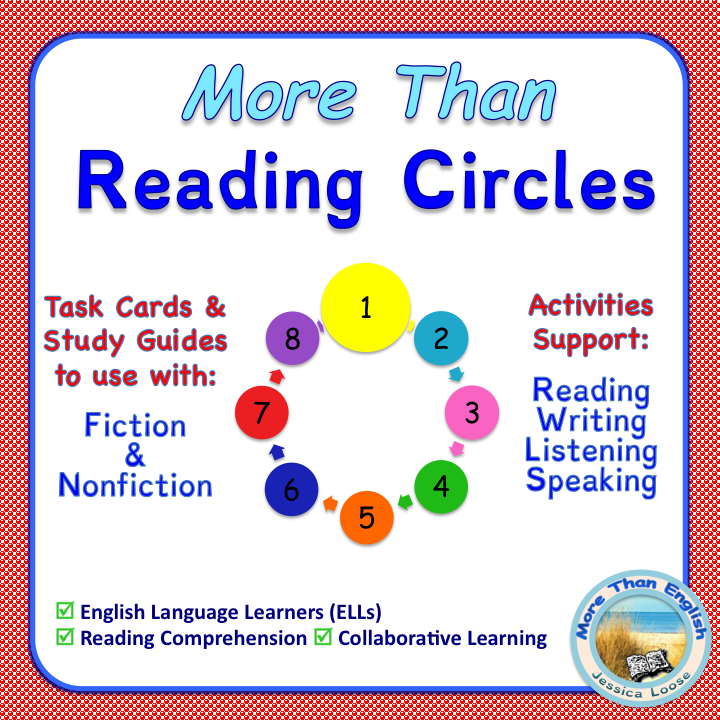 They outline the progression of English language development in the four domains of Listening, Speaking, Reading, and Writing through five levels from novice to proficient. 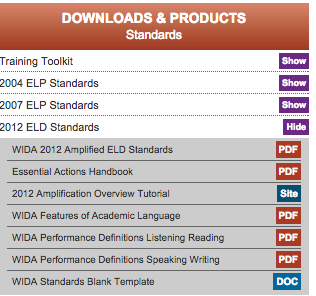 Click on “Downloads & Products/Standards” to go directly to wida.us to be sure you have the most recent version. The WIDA writing rubric is also useful for scoring student work in the classroom. The CAN-DO descriptors give teachers a basic overview of each student’s abilities based on the annual proficiency test (ACCESS) results. Keep in mind that each student will have a separate score for each domain. Generally, Speaking and Listening proficiency develop more rapidly than Reading and Writing, although there are always exceptions. 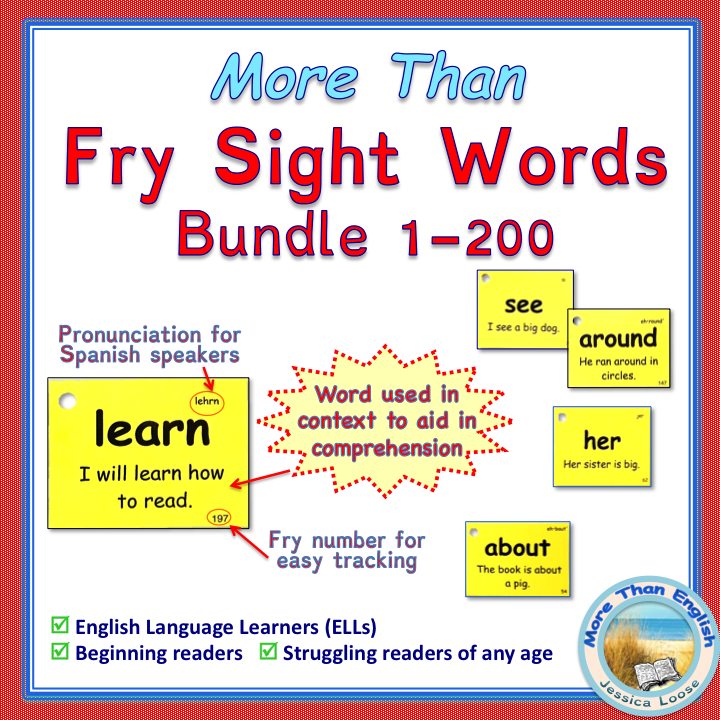 Guide your lesson planning and foster student buy-in with these Student Friendly CAN-DO Descriptors K-12 for Grades K-12. Here are the detailed CAN-DO Descriptors Key Uses 2016 from WIDA. Note that the grade level grouping has changed. Instead of Grades 1-2 and 3-5, Grade 1 is now stand alone and there are now new groups for Grades 2-3 and Grades 4-5. 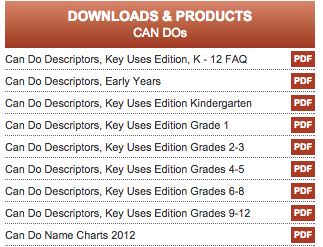 Click on “Downloads and Products/CAN-DOs” to go directly to wida.us to be sure you have the most recent version. Here is a set of charts that list one domain at a time for each grade level. There is more room to add your students’ names. CanDo Namecharts with new clusters by domain and grade level. Use this tool from WIDA to search the ELD standards for MPIs by grade level cluster, proficiency level, language domain, and topic. 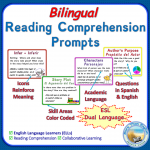 NC Department of Public Instruction has released a 64 page document on “Unpacking the ESL Standards.” If you scroll through it, you will find good sentence frames that model how to teach ELD standards within each content area. I welcome suggestions for other resources to be included in this site. Please use my contact form or email me directly at jessicaloose.obx@gmail.com.